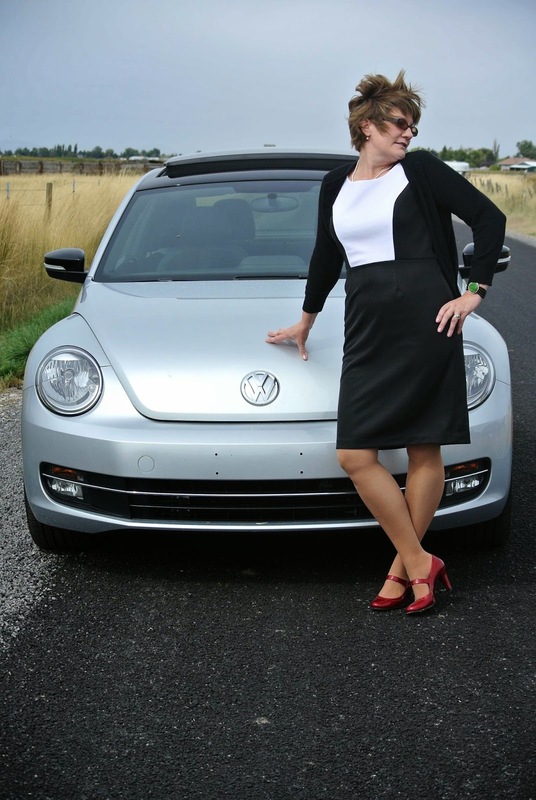 This is my second version of Vogue 8667. The first one had the cowl neck with short sleeves. I still love it, and wear it quite often. I made this one without the cowl neck and sleeveless so I could comfortably wear it with a sweater or jacket. I opted for several different seam finishes in this garment. 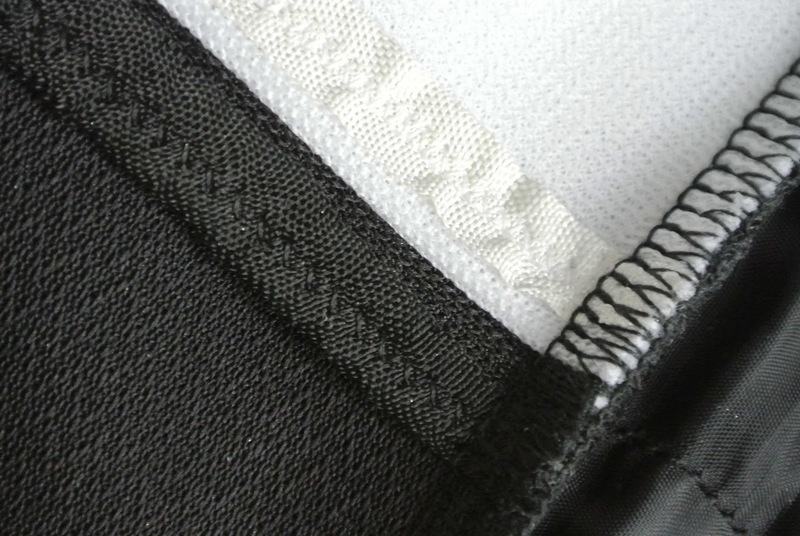 Where those two black and white seams are joined, I applied hug snug rayon seam binding; and I used my serger to sew the skirt to the bodice. 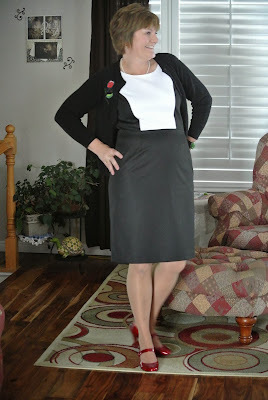 The skirt is lined with black ambiance rayon lining. An embroidered rose on my sweater adds just a touch of color to the ensemble. 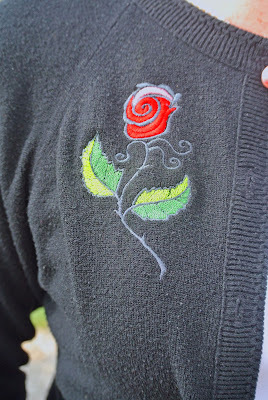 I used my embroidery machine to add the rose to my very well-worn (as you can tell by the pills) black sweater. I like this dress very much and I plan to sew up a cropped jacket of some sort to wear with it when the weather turns colder. Love the dress! I have not embroidered in several years. Really need to do some of that again!